Today's citizens no longer accept one-way forms of engagement and their busy lifestyles mean barriers to traditional forms of service requests. 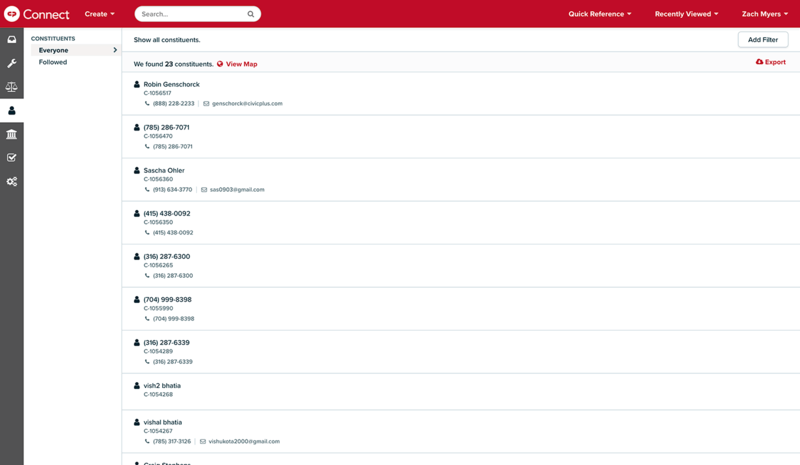 A single administrative inbox with no need to log in to connected third-party applications or accounts. 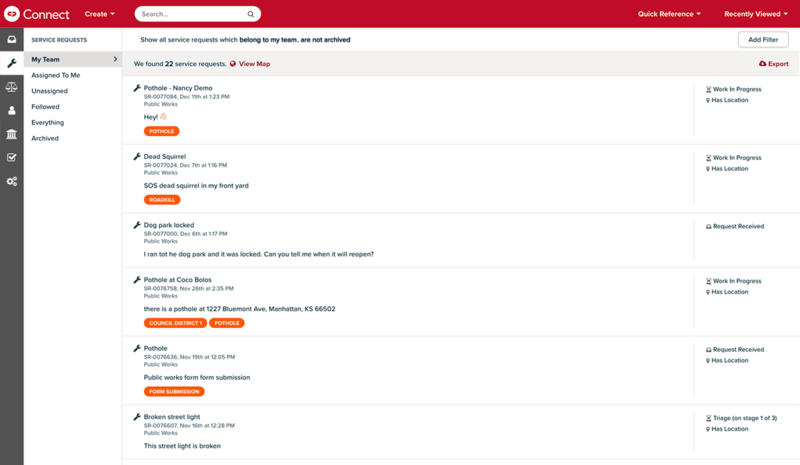 Receive and respond to all messages via the citizen’s original communication channel, such as voice, SMS, email, Facebook, Twitter, webforms, and walk-ins. All communications can be converted to service requests if action is required. 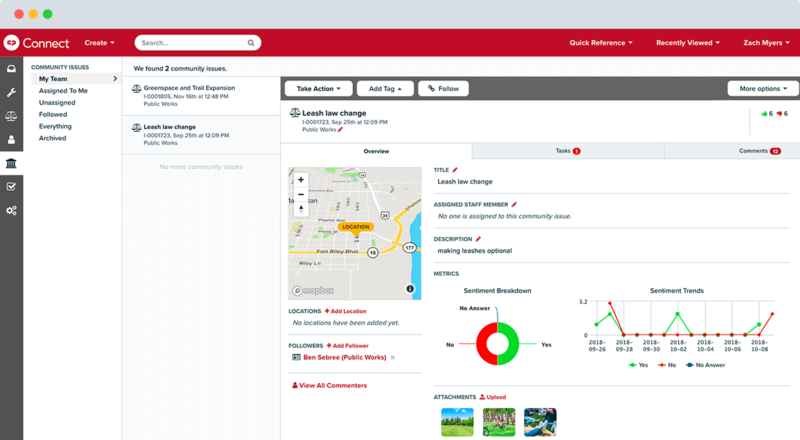 Manage requests using pre-defined procedures and assign tasks to the appropriate user or team. Integrated mapping technology reveals trends and identifies areas in need of dedicated service. Associate citizen feedback that doesn’t require immediate action with community issue reports so that citizen insights are never lost. 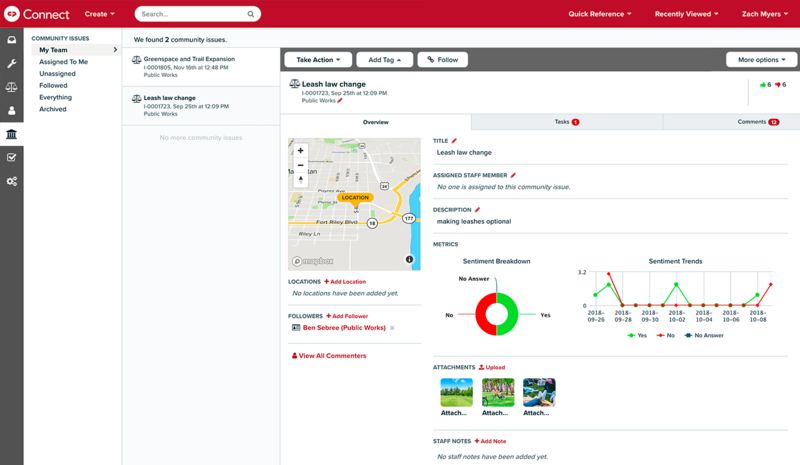 Easily empower local leaders to assess hot button issues across the city. 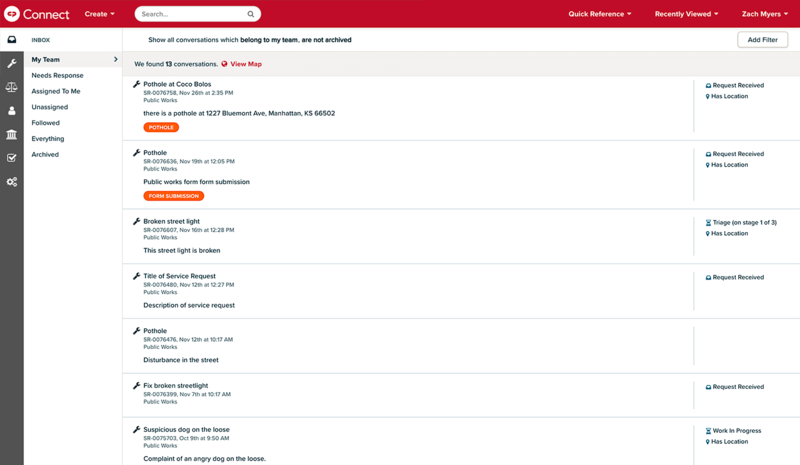 Every citizen interaction, regardless of communication channel, is stored and organized in a single interface, giving you visibility into both individual citizen areas of interest as well as macro trends and topics of importance across your entire citizenry. 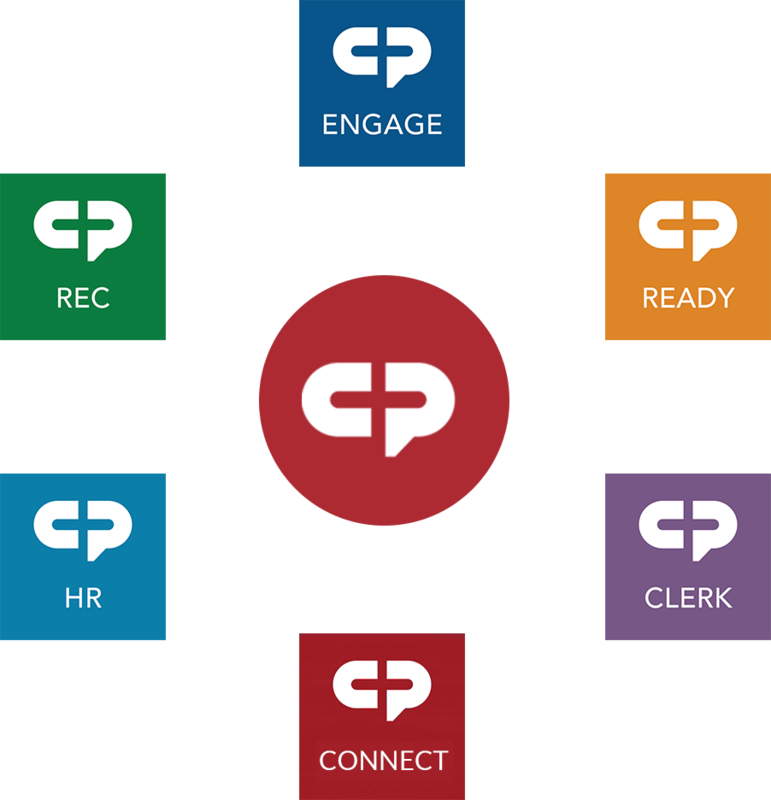 CP Connect enables streamlined compliance with the Freedom of Information Act (FOIA) through its reporting and document management tools that are easy enough for non-technical content managers to utilize. 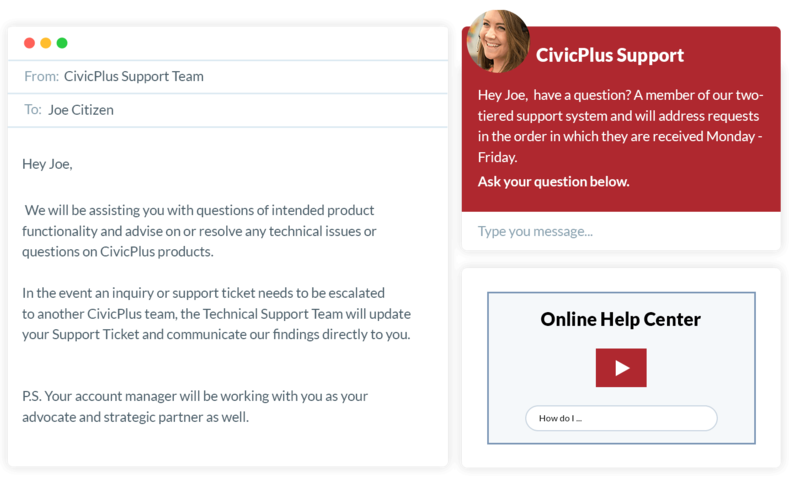 Learn more about how CP Connect can meet your 311 and citizen request needs. We look forward to speaking with you. Complete this form and one of our experts will contact you.